For many individuals shipping your car, boat, or RV can be a new experience. So new in fact that you may not be sure where to start. You simply know you have to get your vehicle from one location to another, whether it’s across the continental United States or overseas. What do you do? You could drive it, but you have a moving truck to drive. Or you have to be there sooner than you can drive. You could ask someone else to drive it, or maybe you sell your car and buy a new one in your new location. All of these are options, but none quite compare to having your car shipped through Secure Auto Shipping. Consider these factors when looking at quotes to ship your car, and these tips to help you through the process stress-free. When you ship your car, you will want to get multiple quotes in order to find the best deal. In addition to that, you will also want to look at the reviews and talk with an individual who works at the company in order to find the best fit for your needs because price isn’t everything. Collect your quotes and make sure to compare services and quality with price in order to make your decision. For those who don’t know, a vehicle shipping quote is based on a couple of different things. 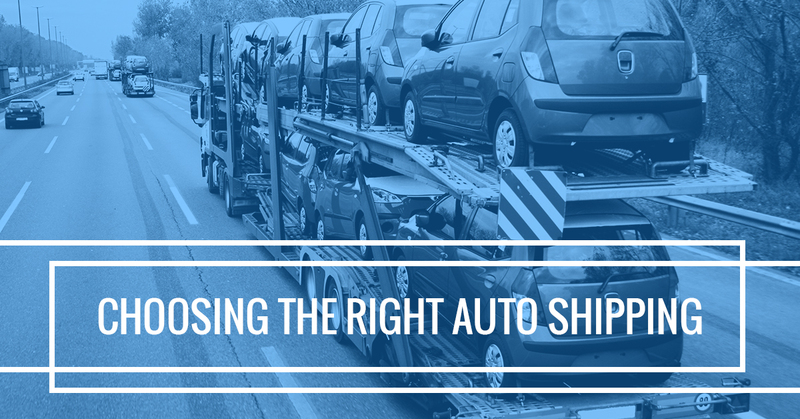 The first factor in getting your quote to ship your car is the vehicle weight. It’s going to be much cheaper to ship a Vespa from one location to another than it will be to ship an RV to the same location simply due to the size. When you ask for a quote, you will want to have a rough idea of the vehicle weight in pounds. This information can easily be found in your user’s manual. Just search for the vehicle’s unloaded weight. You can probably also find this information or a proximity through a quick Google search online for quote purposes. For many car shipping quotes, you will need to supply your car insurance information and check what your policies cover. An insured vehicle will most often cost less to ship than an uninsured vehicle. This is because many insurances companies, but not all policies, will cover the costs of any damage should something happen during the shipping process. If a vehicle is uninsured, this falls on the shipping company or even you to cover, therefore shipping companies will usually ask for more to be able to cover the vehicle sufficiently. The last bit of information that affects the cost to ship your car is the location from which it’s being shipped from and the location which it’s being shipped to. In some cases, you can reduce costs on overseas shipping by being willing to pick up your car in the port city in which it arrives, but knowing the distance is the most important part of the shipping quote. Let us here at Secure Auto Shipping provide you with our friendly and helpful service so that you can get an accurate and reasonable quote for all your vehicle shipping costs. Call today!